Looking for the perfect gift? 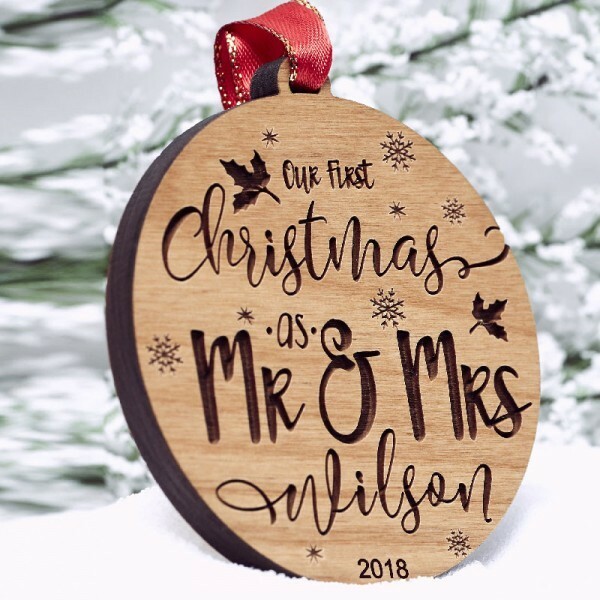 Our personalized Christmas ornaments make such a unique gift that can be used year after year. 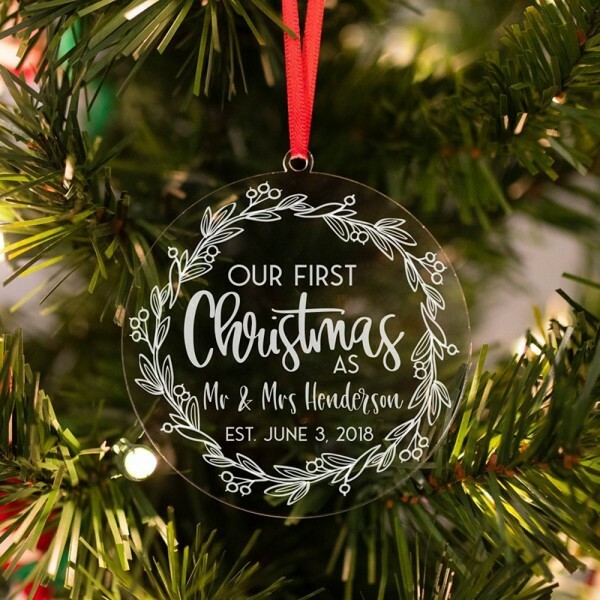 Our ornaments are also the perfect way to commemorate special occasions such as weddings, new additions to the family, new homes and more. Feel free to contact us for custom designs to fit your needs! Our designs are custom art pieces and do take time to produce. 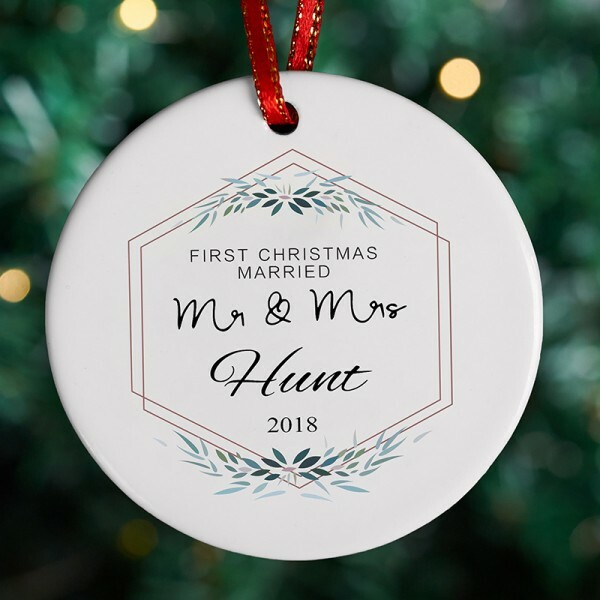 If you choose design 2 and your need "married" or others, please leave your personalization details on "p0ersonalization" blank. Attention: Please add your need quantity to cart and leave all personalization details on "personalization" blank if you need more than 2 items. This will be more convenient for you. 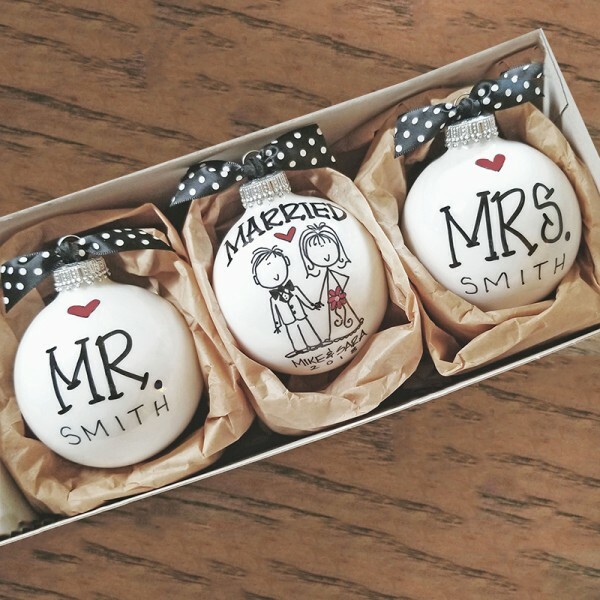 Question about Christmas Gift for Newlyweds is Successfully Submitted.